Dimensions 0 by 5.38 by 8.25 in. In 2014, Francis Fukuyama wrote that American institutions were in decay, as the state was progressively captured by powerful interest groups. Two years later, his predictions were borne out by the rise to power of a series of political outsiders whose economic nationalism and authoritarian tendencies threatened to destabilize the entire international order. These populist nationalists seek direct charismatic connection to âthe people,â who are usually defined in narrow identity terms that offer an irresistible call to an in-group and exclude large parts of the population as a whole. Demand for recognition of oneâs identity is a master concept that unifies much of what is going on in world politics today. The universal recognition on which liberal democracy is based has been increasingly challenged by narrower forms of recognition based on nation, religion, sect, race, ethnicity, or gender, which have resulted in anti-immigrant populism, the upsurge of politicized Islam, the fractious âidentity liberalismâ of college campuses, and the emergence of white nationalism. Populist nationalism, said to be rooted in economic motivation, actually springs from the demand for recognition and therefore cannot simply be satisfied by economic means. The demand for identity cannot be transcended; we must begin to shape identity in a way that supports rather than undermines democracy. 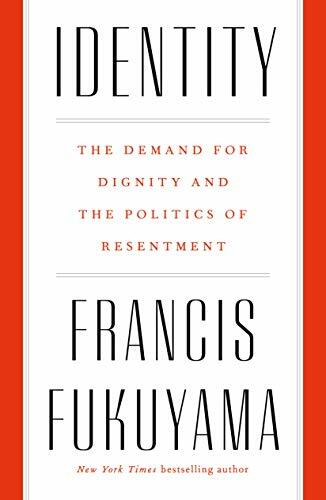 Identity is an urgent and necessary bookâa sharp warning that unless we forge a universal understanding of human dignity, we will doom ourselves to continuing conflict.